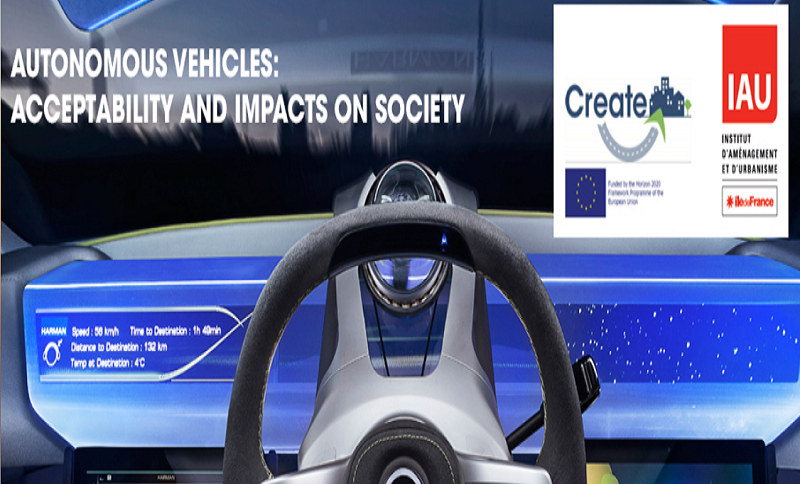 A one day event is taking place in Paris on the topic Acceptability and Impacts on Society of Autonomous Vehicles. The discussion will be focusing on the advantages of driverless cars, such as reduction of pollution and accidents on roads and will also tackle some of the challenges of this new technologies; in terms of the regulatory, ethical, socio-economic and societal aspect. The purpose of this seminar, held in the context of the European project H2020 CREATE, is to gather experts from different fields approaching the topic from different angles to fuel the debate. Potential speakers will be Stéphane Beaudet, Vice president of Île-de-France’s regional council, Dany Nguyen-Luong, Director of the Departement of Mobility and Transports, IAU Île-de-France. The event will also have the participation of Florent Anon, European projects manager of the automated vehicles initiative BRAVE.